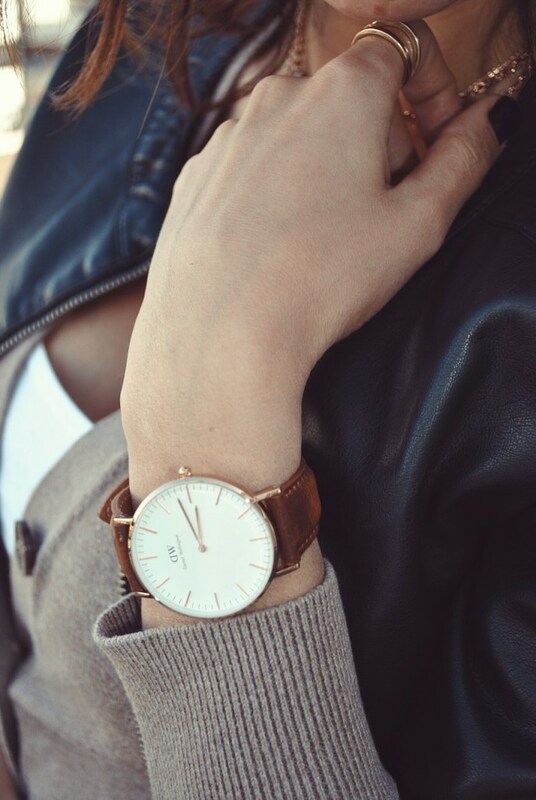 What better way to track the indefinite continued progress of existence, the notion of time, than with a beautiful piece from Daniel Wellington. I am so in love with my DW, it's so elegant. A vintage look that fits any modern occasion as you can see with my outfit below. It truly is a timeless timepiece. I chose a light brown leather strap for my DW watch and a rose gold face. Rose gold is my latest obsession. Please cover me in it. To top off my fabulous watch I dived into some blacks and browns, some gumboots (eeeek) I've always had a thing for gumboots, some more rose gold bling and the oh-so-red lipstick. Oh and I popped me some curls... 'cause... why not? 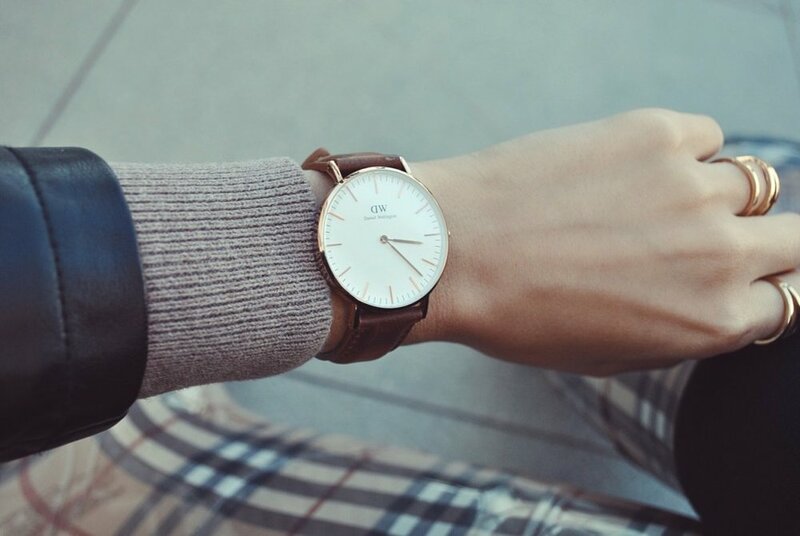 Sophisticated meets street with this combo. Suffice to say it was a great outfit day !